Beat the eggs in a bowl and stir in the crushed crisps. Chop the onion and peppers into small pieces and fry them in a pan for about 10 minutes. Then add the vegetables to the egg and crisps mixture. 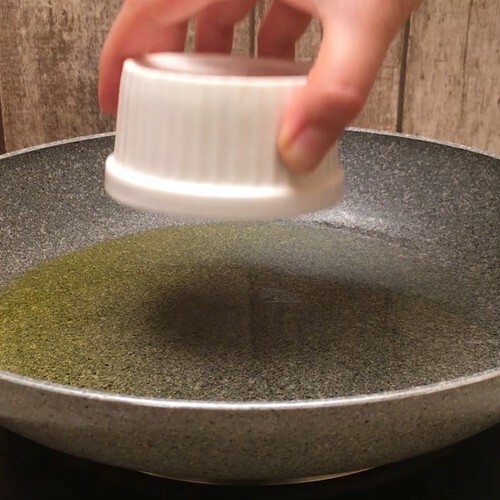 Pour a drizzle of olive oil into a hot frying pan, and place an upturned ramekin dish in the centre of the pan. Pour the egg mixture around the ramekin and cook for 3 minutes. Turn the omelette over with a large plate and put it back on the heat for 3 minutes. Slide the omelette onto a plate and pour tomato sauce into the ramekin. Serve hold or cold by dipping the omelette pieces into the tomato sauce.